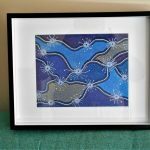 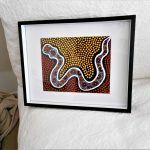 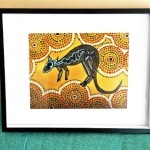 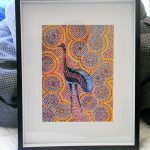 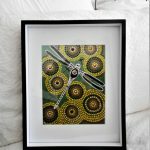 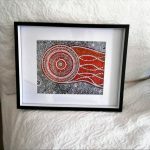 Traditional Kamilaroi Nation art. 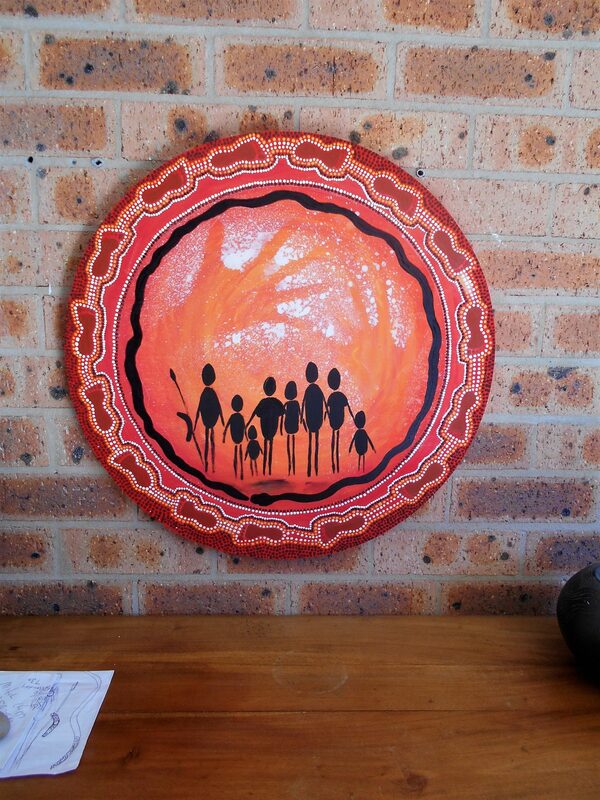 Beautiful Kimberly Red Earth Colours. 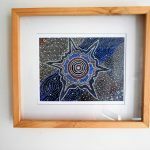 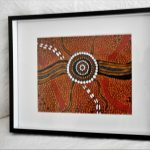 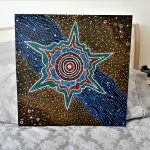 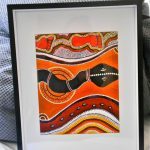 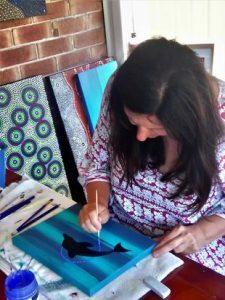 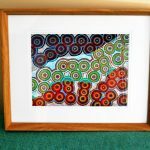 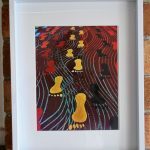 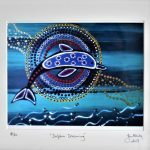 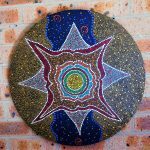 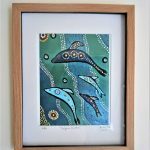 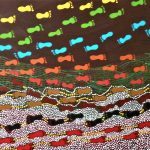 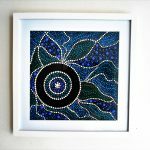 My Aboriginal ancestors journey Birch wood Dot Painting. 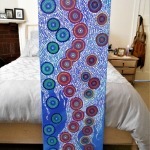 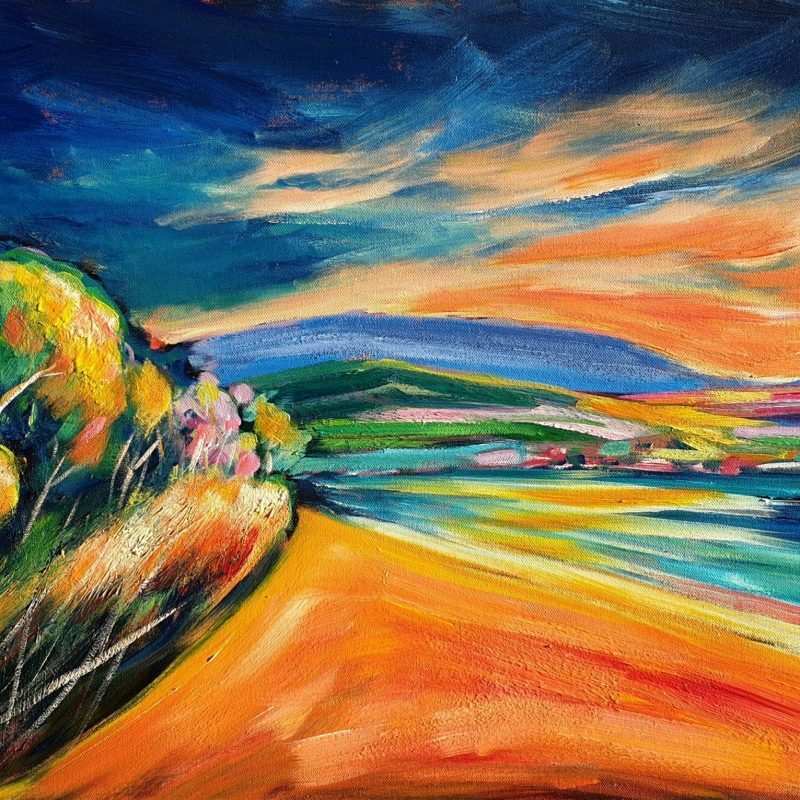 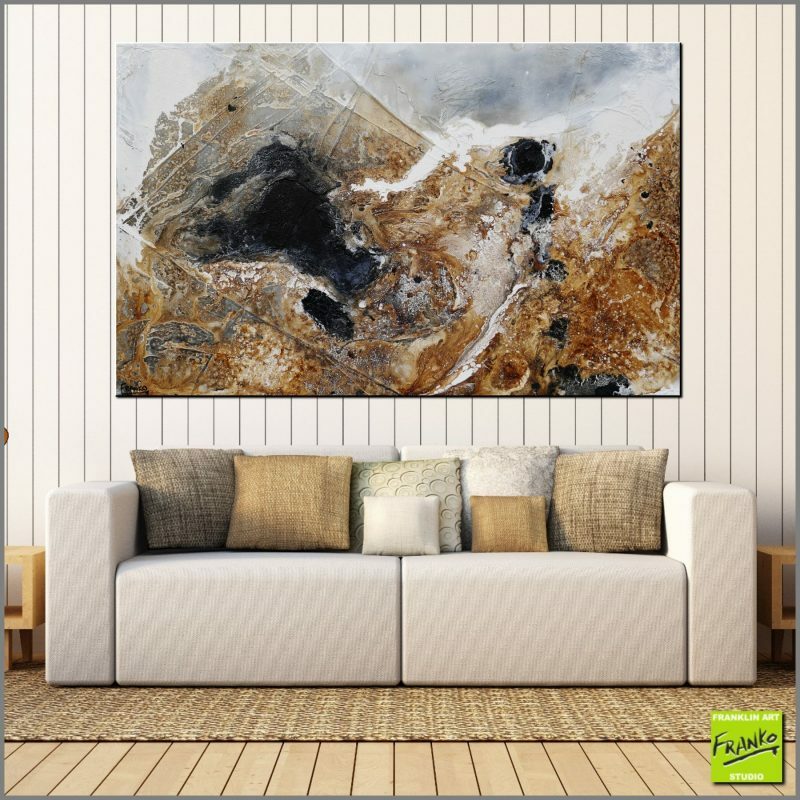 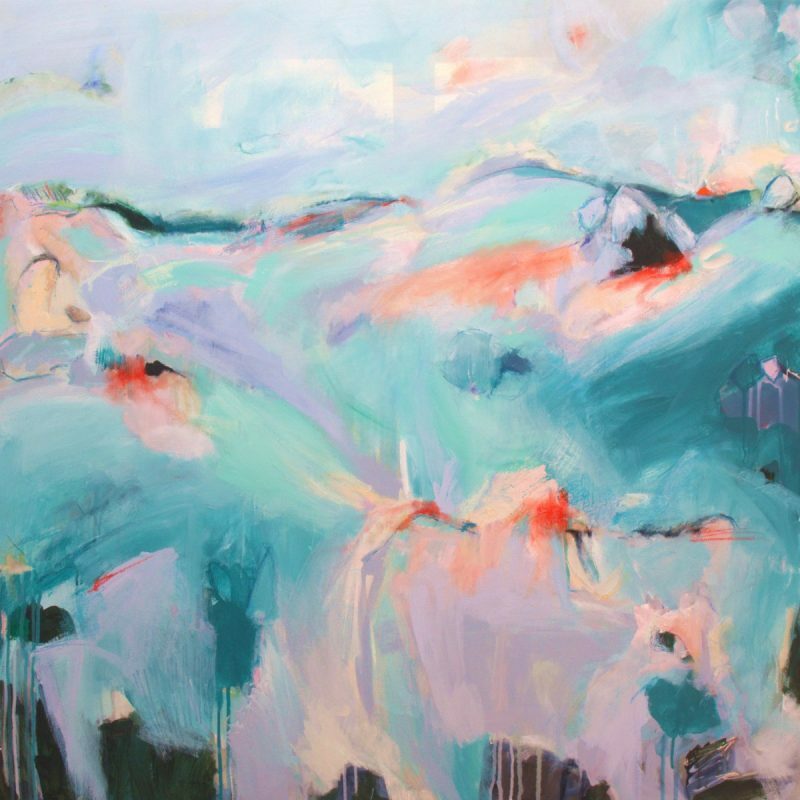 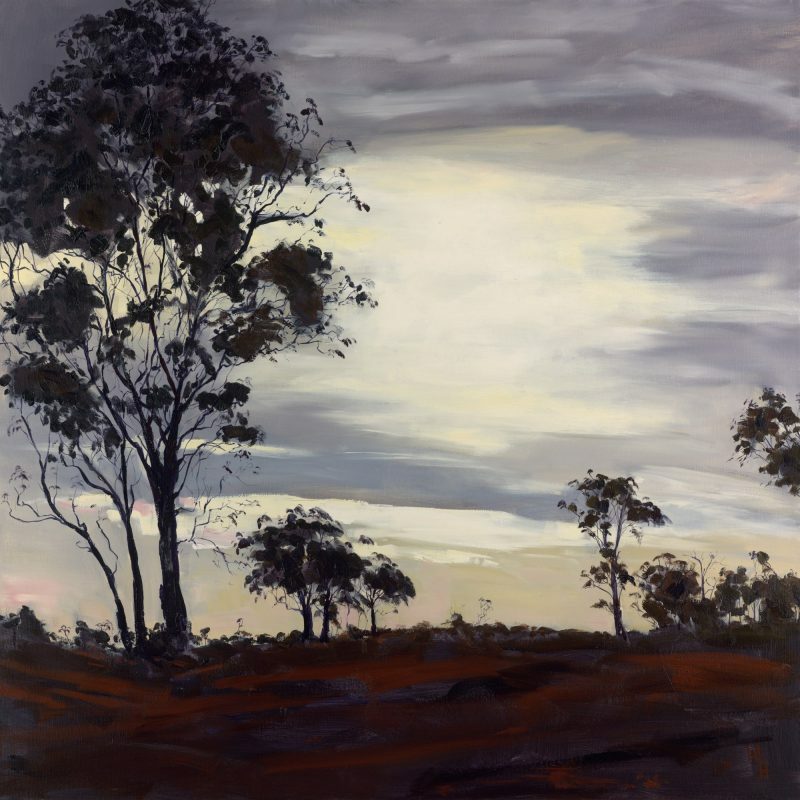 My work was inspired by the great journey of my ancestors through millennia. 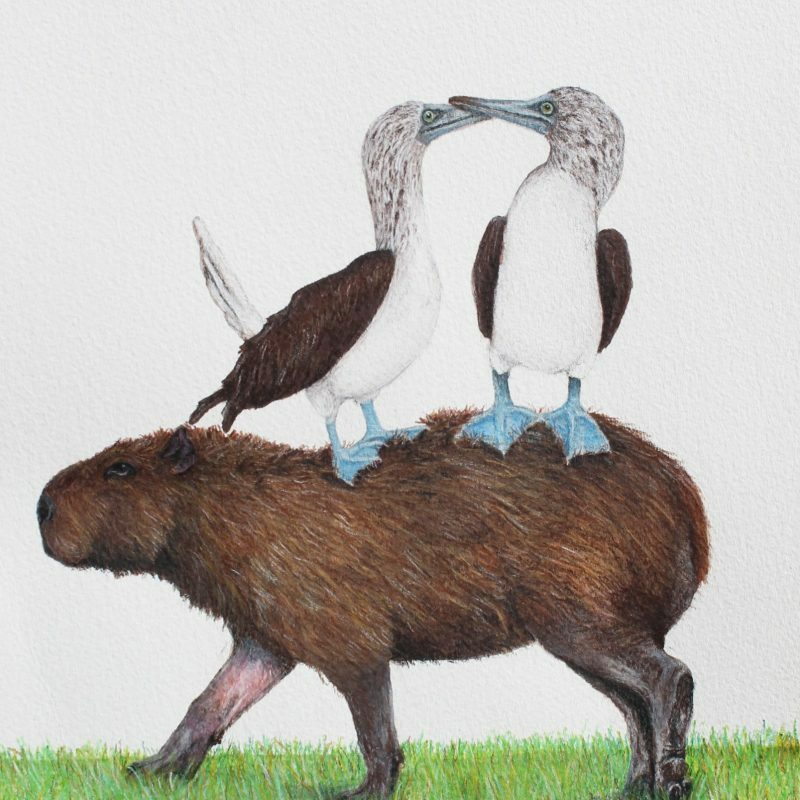 Living happily in the harshest of climates, they made a happy existence and for generations cared for the land beneath their feet, the animals that sustained them and the vegetation that gave them food and shelter. 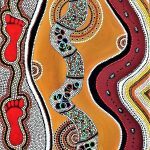 It still amazes me that my people populated this continent exclusively for nearly 70,000 years until Capt Cook, (not the first white man) landed at Port Botany and quickly changed everything. 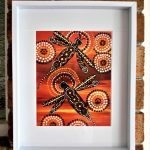 This is my vision of how traditional life might have been and the last gasp of a proud nation, lamenting the loss of the life they knew and the terrifying prospect of forced integration into an alien white world. 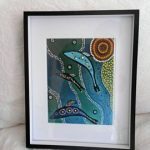 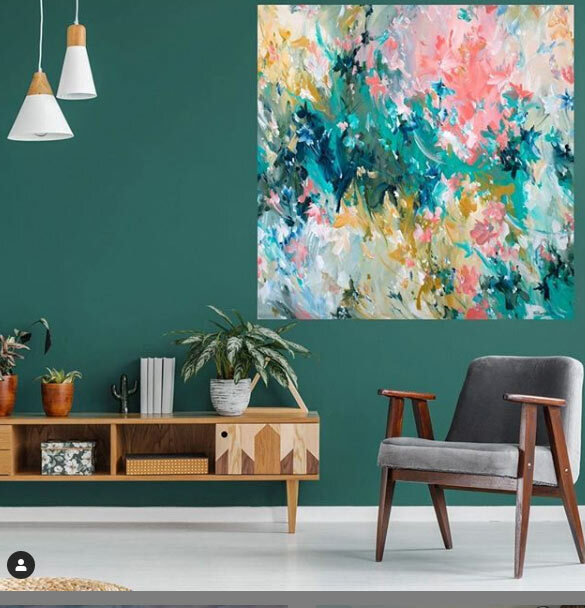 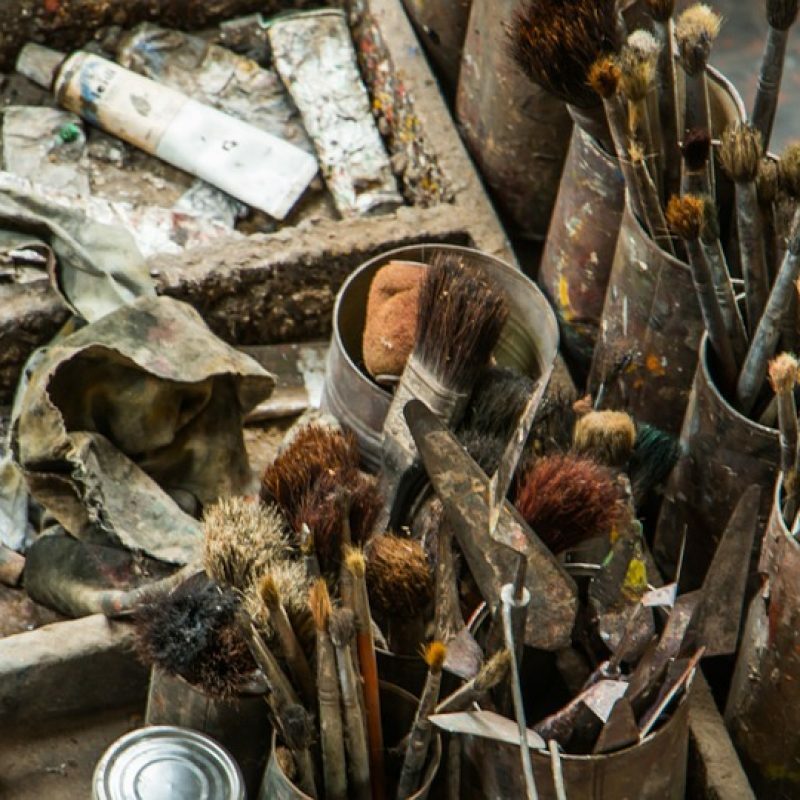 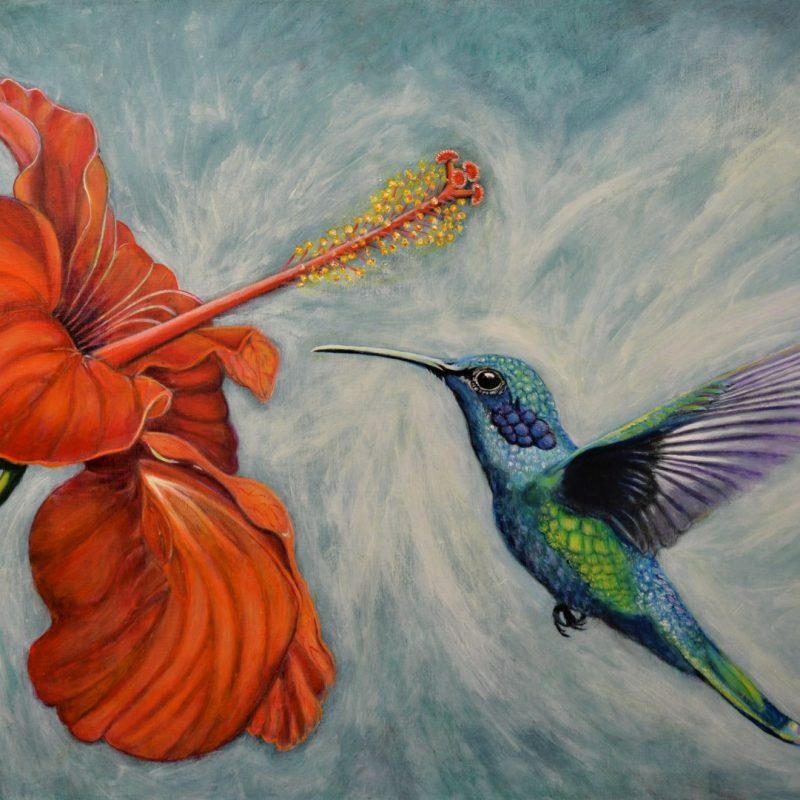 Your original acrylic on birchwood painting will arrive securely packaged.